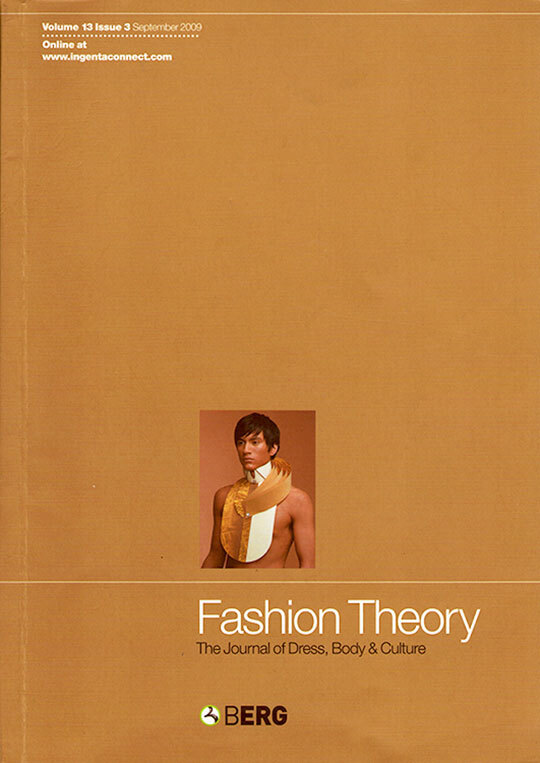 Fashion Theory’s starting point defines ‘fashion’ as the cultural construction of the embodied identity. Since its launch, 12 years ago, the Journal has included essays on the dressed body as a site for the deployment of discourses. For Fashion Theory: 13(3), Alexandra Koroxenidis (art historian/journalist) contributed with an essay on RRRIPP!! Paper Fashion exhibition, while Daniel Milford-Cottam (cataloguer at V&A Museum) reviewed RRRIPP! !’s accompanying catalogue. The cover includes Michael Cepress’ ‘Collars for a Modern Gentleman’, a piece commissioned by Atopos cvc.